Robert Meeropol celebrating his bar mitzvah. AUGUST 16, 2018 – Robert Meeropol was only 6 years old when his parents, Julius and Ethel Rosenberg, were executed in 1953 by the US government as spies for the Soviet Union. Earlier this month, at age 71, he took part in an ancient Jewish ritual when he put on tefillin for the first time, something that Jewish boys usually do when they turn 13 at their bar mitzvah. 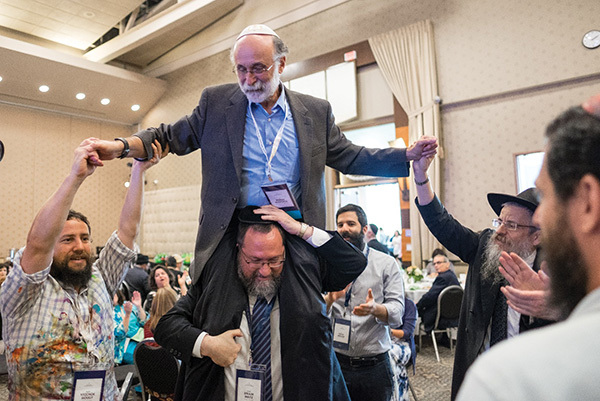 The celebratory ritual, which was followed by singing and dancing with Chabad rabbis and over 1,200 fellow Jews, took place at the Rohr Jewish Learning Institute’s annual retreat in Providence, where Meeropol spoke about his experiences growing up as the “Cold War’s most famous orphans” and his crusade to clear his mother’s name.  Meeropol – who was later adopted by Abel and Anne Meeropol along with his brother – told retreat attendees that he believes he’s uncovered strong evidence showing that his mother, Ethel Rosenberg, was not involved in espionage at all and was unfairly convicted and executed. He also discussed the role of anti-Semitism in his parents’ conviction and sentencing, and the campaign to have his mother pardoned by former President Obama. After his presentation, Rabbi Efraim Mintz, director of JLI, asked Robert if he had ever worn tefillin. When he said he hadn’t, the rabbi brought out a set and helped him affix them to his head and arm. For over 40 years, Meeropol has been a progressive activist, author, and public speaker. In the 1970s he and his brother, Michael, successfully sued the FBI and CIA to force the release of 300,000 previously secret documents about their parents. He earned undergraduate and graduate degrees in anthropology from the University of Michigan, graduated law school in 1985, and was admitted to the Massachusetts Bar. In 1990, after leaving private practice, Robert founded the Rosenberg Fund for Children. The RFC is a public foundation that provides for the educational and emotional needs of children in this country whose parents have been harassed, injured, jailed, lost jobs, or died in the course of their progressive activities. The fund also supports youth who have been targeted for being activists. In its more than two decades, the RFC has awarded almost $6 million in grants to benefit more than a thousand children. In September 2013, Robert retired as executive director, passing the leadership of the foundation to his daughter, Jennifer Ethel Meeropol. Robert continues to serve on the RFC board of directors and as a capital campaign fundraiser for the organization. Robert has long been involved in anti-capital punishment activism, locally and internationally. He is interested in, and blogs about, issues of national security and civil liberties, and in understanding the connections between global warming, the evolution of human societies, and political activism. He lives in western Massachusetts with his wife, the author Ellen Meeropol, and their cats, Coreopsis and Lupine. Other JLI speakers included Eve Weiner and Hans Fisher, two passengers on the MS St. Louis, a ship full of Jewish refugees fleeing Nazi Germany in 1939. The ship was denied entry by the US and Cuba and sent back to Europe. A quarter of the passengers died in the Holocaust. Eve and Hans spoke about the lessons that both the US government and Jewish organizations should learn from the tragedy. A State Department representative read an apology on behalf of the US Government. Refusenik Yosef Mendelevich also told the crowd about his attempt to hijack a Soviet plan to escape to the West, and Yair Rosenberg spoke about trolling neo-Nazis on the Internet and gave tips for fighting anti-Semitism online. The Jewish Learning Institute, Chabad’s adult education arm, is the largest adult Jewish education network in the world with 300,000 students taking courses at 1,000 locations over the past 19 years.